Scitex Vision XLjet3, a six-colour system with a 3.2 meters width. The Scitex Vision XLjet3 was the market-leading XLjet, which has become synonymous with quality and productivity. 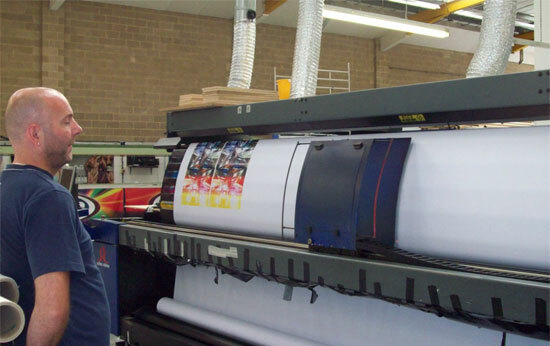 This first-generation system delivers a technologically advanced system with additional capabilities and higher versatility, which will ensure its position as the leading super-wide format printer in the market place. 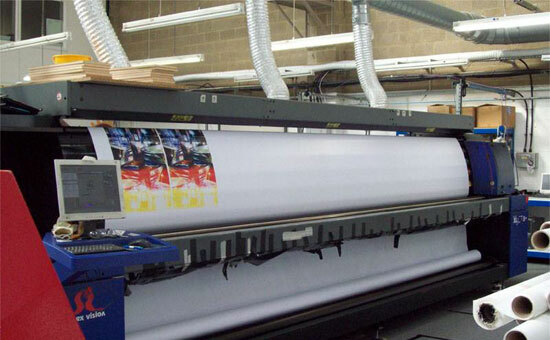 The Scitex Vision XLjet3 is ideal for Billboards, vehicle wrapping and truck-side curtains. The Scitex Vision XLjet3 can print double-sided and backlit applications with pinpoint registration, while its ability to print on a wide variety of substrates (including flex, banner, canvas, mesh, Tyvek™, textiles, paper and vinyl) makes applications such as billboards, floor and window graphics, textiles (including carpets) and backdrops particularly suitable. The Scitex Vision XLjet3 is exceptionally flexible and minimises downtime. The system also supports easy switching between four and six colours (CMYK + LC, LM,). The Scitex Vision XLjet3 is compatible with Scitex Vision's VisionInk XL200 Supreme and Classic inks, enabling faster printing of perfect images by reducing the number of necessary passes. Additionally, the ink offers a brilliant, unmatched colour gamut and durability of up to two years. Switch between 4 and 6 colours and back. Scitex Vision Supertext Technology TM .